Thank you for your visiting and your interest in M4VGear products! M4VGear 2017 Mother's Day Special Promotion is over now. To get the latest news of M4VGear products and promotion campaign, you can just visit M4VGear homepage. >> Highly compatible with the latest platforms and Spotify. "If your Mom loves movies or TV shows, M4VGear is of great help. After removing DRM from purchased or rented iTunes videos, we can back up and play iTunes videos on any non-Apple device and TVs. M4VGear enables us make it by removing DRM and producing compatible perfect result. It is fast, reliable and user-friendly. " 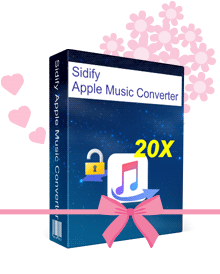 "If only your Mom is an Apple Music subscriber, she would surely love Sidify Apple Music Converter to get DRM free from Apple Music tracks and enjoy Apple Music more freely." "How many hobbies of your mother do you know? Do you know what kinds of music she likes? This Mother’s Day, buy your mom a MP3 player like iPod pre-loaded with her favorite songs. Never mind if you don’t know what she likes, start asking your mom who her favorite musicians are now." "In order to express my thanks and love to my mom for all she has devoted to the family, I created a Mother's Day DVD and send to my mom as a keepsake. 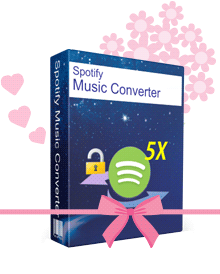 I really appreciate how Spotify Music Converter works great to help me convert my playlist from Spotify to mp3 high quality file format." Copyright © 2017 M4VGear Inc. All Rights Reserved.